I was wild camping at Lochan Fada and having emerged from my tent just after sunriseI took a walk along the western shores of the Loch. 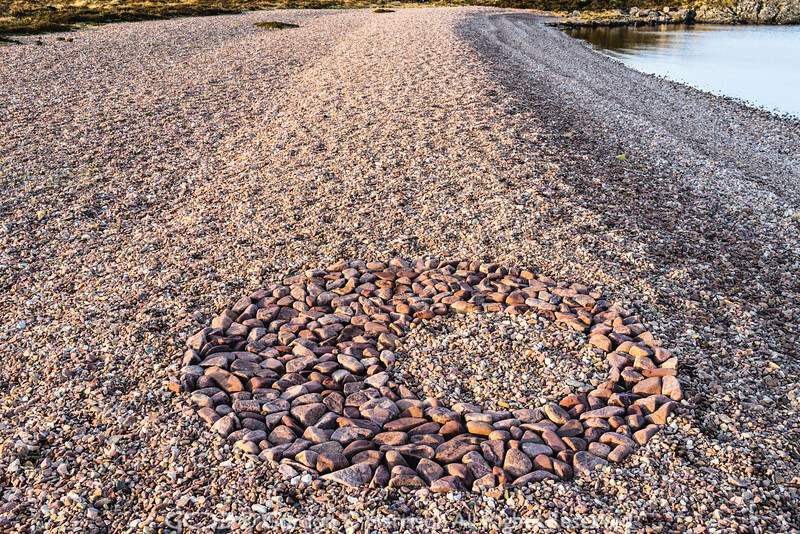 I had not walked very far when I encountered this abstract artwork set into this shingly shore. I was really astonished to come across this and questions popped into my head, who made it, why, why here, and so on. I'm afraid I have no answers to these questions!